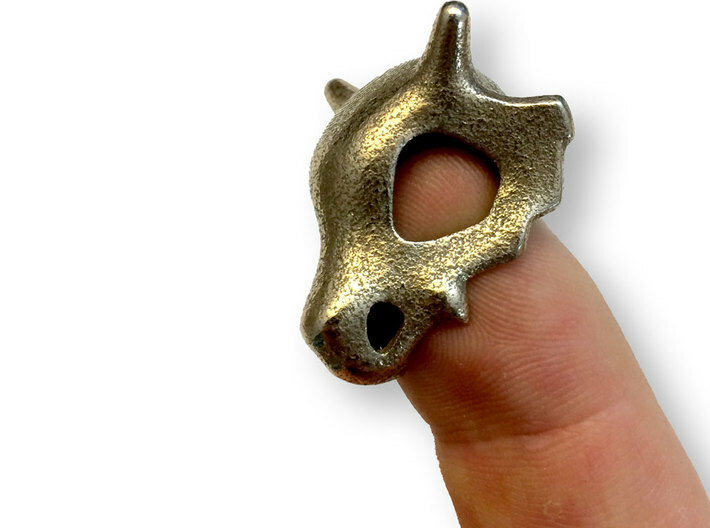 Cubone may be small but has some mad bone wielding skills! 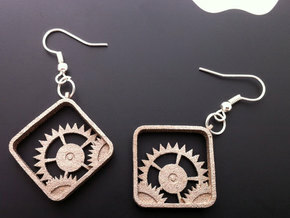 But wearing the skull of your dead mother? 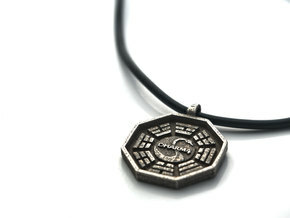 Yeah, it's a bit weird, but now you can wear it too! 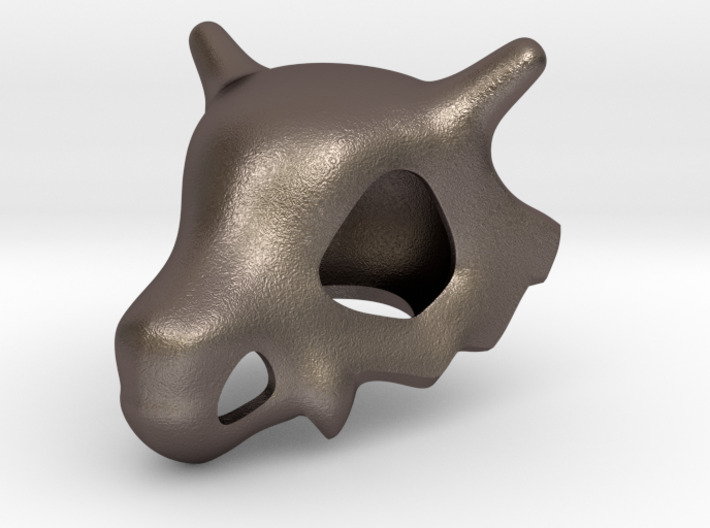 The Cubone Skull pendant is made layer by layer in a 3D printer then fired in a kiln to turn it into solid steel. 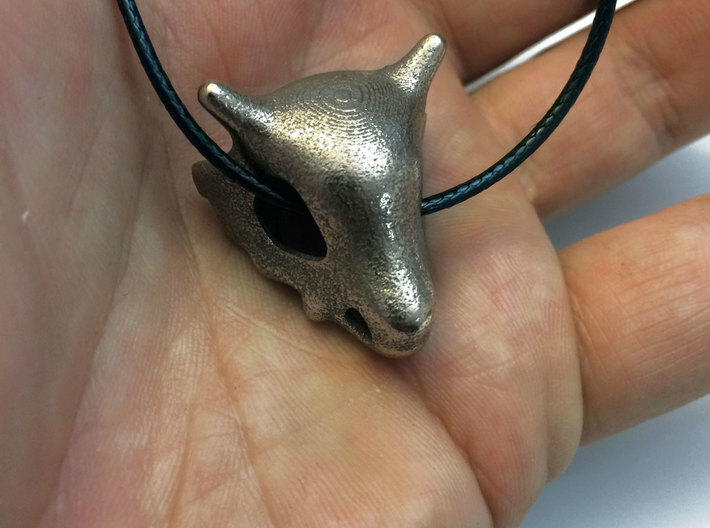 This pendant makes the perfect gift for Pokemon fans or buy one for yourself to show off to your friends! 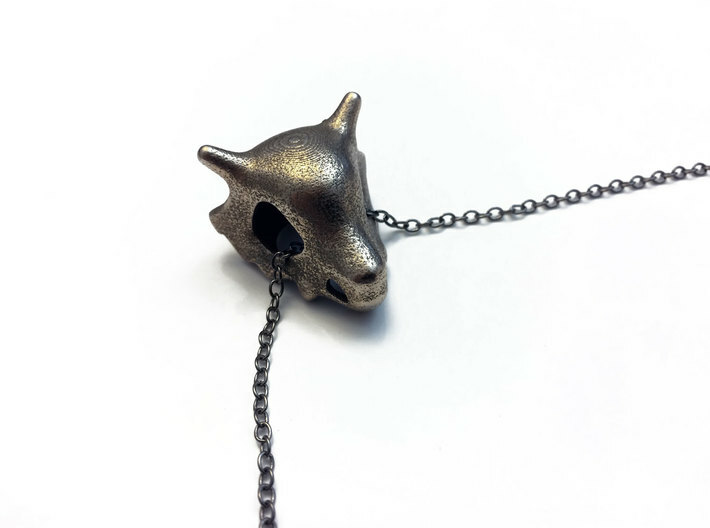 The skull measures about 1 1/8" Long and you wear it on a pendant by stringing a chain or cord through the eye sockets or the nostrils. 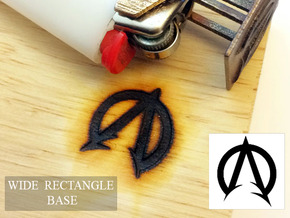 Bic Lighter Branding Iron - 1 1/4" X 3/4"